As ever the first couple of months are generally fairly quiet, particulary on the filming front with only a days filming on a advert. Fingers crossed the constant roles I am putting myself forward will bring something good soon. 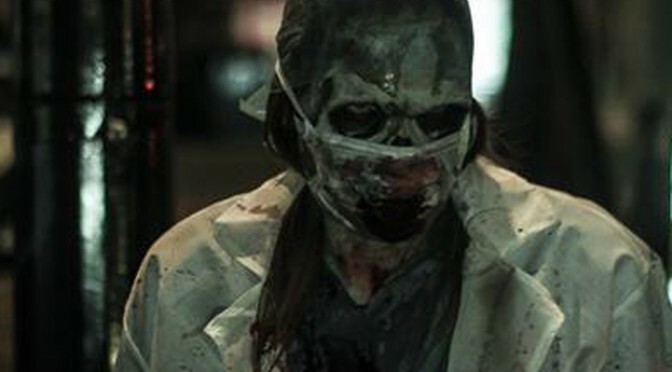 In the meantime a much welcomed role came in playing a zombie on a trade stand for a gaming company helping to promote the new Walking Dead slot machine. It was hard work constantly being in character for many hours but it was also fun scaring the public. Thankfully my costume and leather commissions have helped see me through the quiet time with 2 Iron Age Childrens costumes for Jersey Heritage, look forward to see the children having fun in them. I also received a commission for a costume piece from a character from the popular TV Show Wynona Earp. 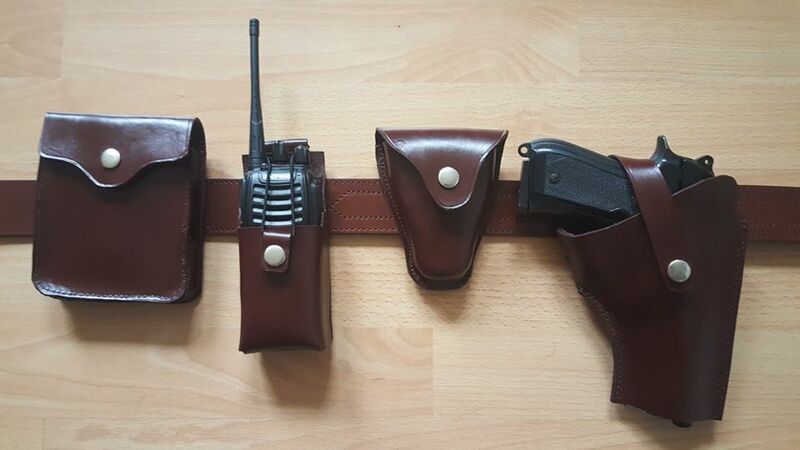 Officer Haught wears a police gun rig which my client requested which consisited of a leather notepad pouch, handcuff pouch, radio holder and gun holster. After a fair bit of research and working out, the holster in particular had a strange configuration in the way the strap wrapped around the back of the gun and came over and fastened at the front. I purchased the correct belt to finish it off and I after dying and waxing the pieces was very happy with the finished look. I have some more potential commissions coming up so look forward to see what will be next! I am pleased to say Colchester Roman Circus Visitor Centre, the only site of Britain’s only known Roman chariot racing track have invited me back as Queen Boudica for an event day in June alongside the Ermine Street Guard Roman group. Very much looking forward to go back as they made me so welcome last time when I was the guest of honour at their official opening back in 2015.